Hotel Arts’ spectacular suites offer versatility above all else. 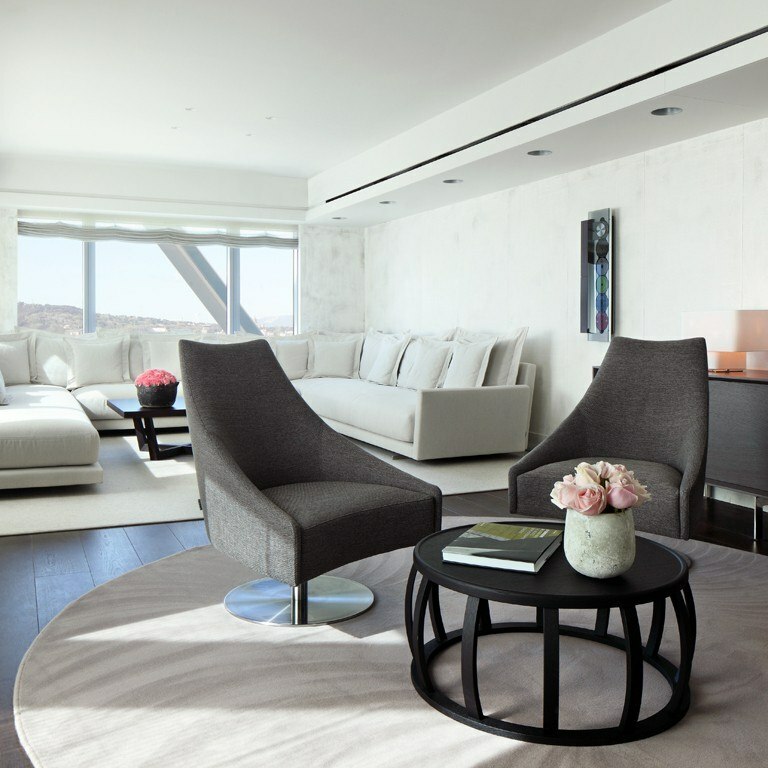 These spaces are designed for both leisure and business trips; each of them has a private living room with stunning views, as well as all the amenities and services of a luxury hotel. 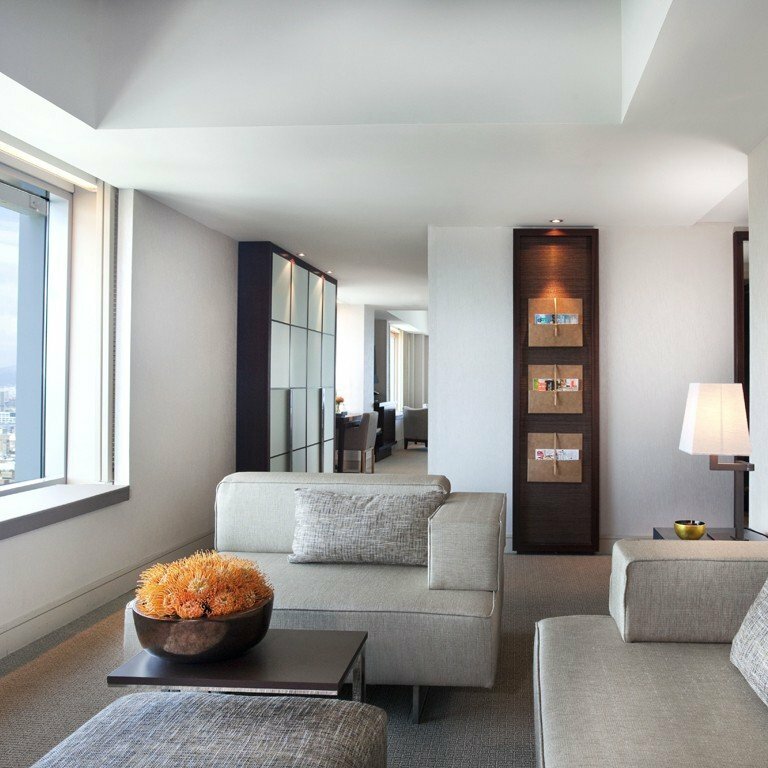 These suites have the best spot in the hotel, located on the corner of the building starting on the 19th floor. 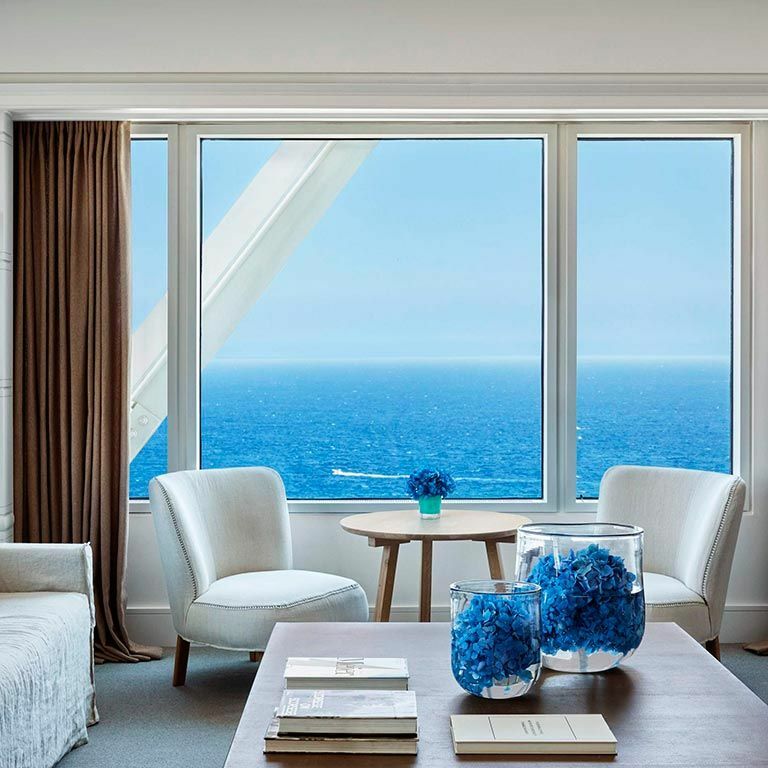 Their windows offer unbeatable views of the sea and the city, and each of them has a private living room and all kinds of luxury accessories and amenities. All the versatility of our suites, plus exceptional views of the sea. Enjoy a private living room while contemplating the vast expanse of the Mediterranean through its magnificent windows. 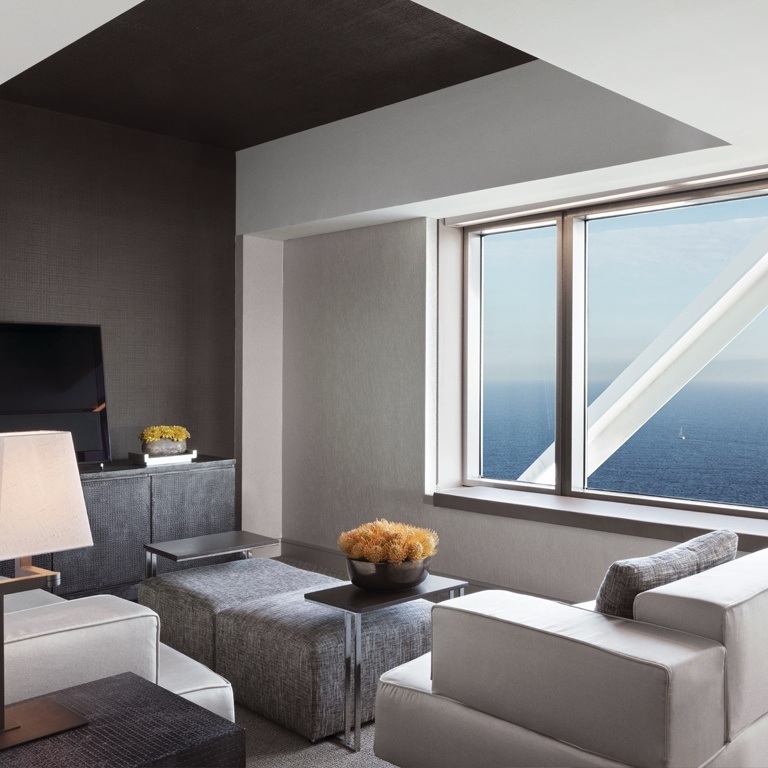 With contemporary interior design, our most iconic suite extends across the entire seafront façade of the building’s 30th floor. This means that you can admire the Mediterranean and the Port Olímpic from every one of its rooms. Additionally, all Arts Suite guests can enjoy the exclusive services of The Club. Classic and majestic style takes center stage in this suite. Its spectacular views of the sea give this exquisite, spacious, comfortable, warm and inviting room its name, making guests feel right at home while enjoying the luxury amenities and services of the hotel.